Regardless of whether or not your company is engaging via social media as a brand, your employees are. Most likely they are checking their Twitter feed or Facebook on their personal time and during the work day. It’s the latest evolution in the way humans communicate, and it can’t be stopped. But this isn’t a hindrance for your company. It’s an opportunity. You just have to know how to use it. 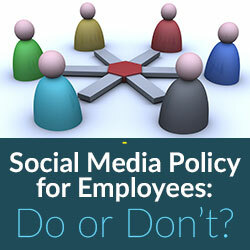 A social media policy can be the most effective tool in a company’s toolbox. By educating employees with what they need to know about social media and equipping them with the proper guidelines and etiquette, you can activate them as brand advocates and enhance your company’s online presence. Keep reading, and I’ll show you how. Depending on your workforce, there may be employees who are not too familiar with the latest social media channels and how they should be used. If your company actively engages via social media as a brand, there may be employees who don’t understand why or see its value. This is your opportunity to educate them about social media, its importance and how it should be used by your brand/employees. A brief overview of the popular channels and how they can be used to join conversations that are important to your company are great materials to include in an effective social media policy. Oftentimes, you’ll find individuals may be against social media simply because they don’t understand it, or may be unknowingly using it to the detriment of your brand. Educating employees can quickly resolve several of these issues. Once your policy has educated your workforce on social media and its benefits, companies can then identify how it should be used. It’s important to outline specific etiquette to adhere to, such as refraining from arguing online, using any proper disclaimers when engaging in professional discussions, and leaving out content that could be inappropriate. Depending on the industry, this is also an opportunity to provide any legal guidelines employees should know. For example, some industries place limits on how professionals are recommended by their colleagues on LinkedIn. Others consider it a breach of code if social media is used to provide certain types of professional advice, and indicate posts should instead be purely informational. If your employees are not aware of these guidelines, they may be penalized for unknowingly violating your industry’s code of conduct. This lack of understanding can not only hurt employees, but also reflects poorly on the company. Your employees are your brand’s best advocates and they know your business better than anyone. They have insider knowledge and can be instrumental in helping champion your organization’s efforts on social media. After educating them about social media, how it can be used, and equipping them with the proper tactics, a social media policy can then strategically align their efforts with the company’s to enhance your overall online brand. This is when you can encourage them to contribute content for your company blog, and provide easy instructions for doing so. You can designate which branded hashtags your company is using that they can amplify within their own tweets by tagging your company handle. You can explain which company events are important to promote and provide the needed information for them to share within their own personal networks. In other words, you can activate your employees to become your brand advocates. This works best, of course, if your company is already engaging within social media as a brand and provides the foundation on which employee efforts can be based. A social media policy is not meant to prohibit employees from engaging within social media, but rather to position them for social media success. For companies that engage in social media, a policy provides the added benefit of establishing clear guidelines for why and how this is done. 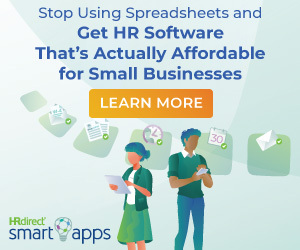 It is not meant to be a lengthy, complicated document, but rather a simple, helpful guide that is easily understood by the company’s employees. It also provides contact information of key internal personnel who can answer any questions or provide more information regarding social media use to employees interested in learning more. It’s a great idea to include an overview of this policy during new hire orientations, as well as provide copies for employees’ reference. Some companies also require a signature from employees confirming they’ve read and understand the policy. This can definitely help boost participation and awareness of the document and its guidelines; however, the policy will only come to life and be embraced by employees if it’s actively modeled by their company leaders. This behavior will then spread to the rest of the company, be ingrained within the company culture and cause optimal social media use to become a way of life within the organization. Social media is here to stay. A social media policy, therefore, is definitely a must. Several companies have understood this and drafted policies to lay the foundation for their company, and their employees’, social media success. The question is…has yours? IIngrid is an account supervisor in the public relations group at HCK2. She specializes in creating an online community for customers through social media marketing that increases customer loyalty and engagement while furthering brand awareness and company interests. 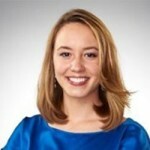 She’d love to hear from you; tweet her at @hck2 or @IngridKibler, or visit www.hck2.com for more info.